Virgin, 1995, Hardback in Dust Wrapper. Illustrated with colour photographs. 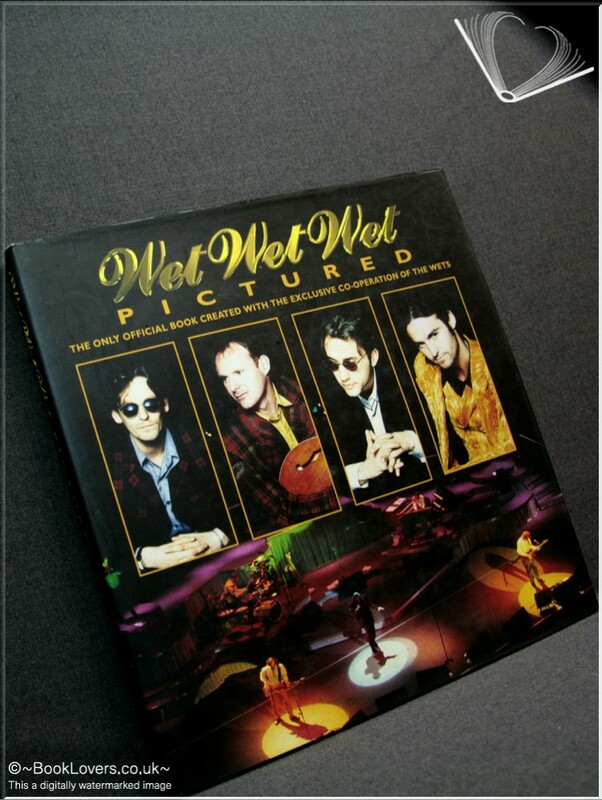 From the cover: “After the phenomenal success of Love Is All Around, fifteen weeks at number one and the best-selling single for a decade, the Wets went out on the road with their stunning All Around And In The Crowd show throughout the spring and summer of 1995. For the first time, the band allowed a photographer exclusive and uninhibited access on tour. Simon Fowler, one of the best music photographers in the business, accompanied them on their travels in Europe. He took full advantage, shooting photos onstage, backstage and offstage — even dangling high above the catwalk that dramatically descended from the rafters to let the band race over the heads of the audience. Wet Wet Wet — Pictured combines the most spectacular and most intimate of the shots that emerged, in a blend of vibrant colour and powerful black and whites. The Wets also talk to writer Mal Peachey about being a band of musicians, close friends and strong personalities. Graeme on his own love affair with music and the influences in their early days. Marti on working with the greats of soul music, and on defying the critics. Neil on being ‘the quiet one’ and helping each other. Tommy on juggling a private life with the strenuous demands of being on tour for five months. We meet the fifth Wet, guitarist Graeme Duffin, and the band’s stage crew, including a guided tour backstage in the company of tireless road manager Dougie Souness: the success of Wet Wet Wet is all to do with teamwork. Size: 10½" x 10". Black boards with Gilt titling to the Spine.